Nobody bid for the Lucky Dragon casino hotel off the Las Vegas Strip, in the U.S., when the foreclosed property was put up for auction on Tuesday, the Washington Times reports. The newspaper carried a report from the Associated Press news agency that listed the opening bid at US$35 million. The report said three individuals were pre-qualified to bid, but none made a bid. 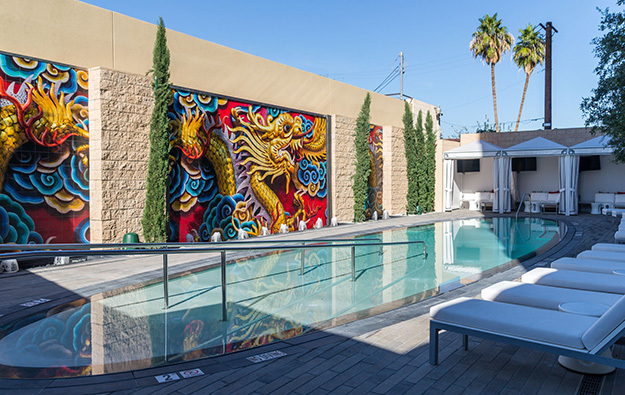 The Lucky Dragon is an Asian-themed casino hotel that opened in November 2016. The casino was closed in January and the hotel closed earlier this month. A chain-link fence now surrounds the establishment, located off the Sunset Strip. Snow Covered Capital LLC of California is the main creditor. The property is said to include a 203-room hotel, a 27,500-square-foot (2,555-sq-metre) casino floor, space for five restaurants and bars, a spa, outdoor swimming pool, fitness centre, retail space and 408 parking places. According to the Associated Press report, the casino was financed by Chinese investors who sought to claim the right to live in the United States under a scheme that gives a foreigner the right to live in the United States in return for the investment of at least US$500,000 in a job-creating project there. The Las Vegas Sun newspaper reported this month that the property cost Lucky Dragon Hotel and Casino LLC US$160 million to establish. At the time of launch, Lucky Dragon was said by its promoters to be Las Vegas’ “first resort delivering an authentic Asian cultural and gaming experience”. The casino featured 30 gaming tables and 300 slots, focusing on games popular in Asia, including baccarat and pai gow.